RIO DE JANEIRO, Dec 24 2012 (IPS) - Environmental authorities in this southeastern Brazilian city are installing more air quality control stations in the locations where competitions are to be held during the 2016 Olympic Games, so that air pollution will not hurt the athletes’ performance. The 16 new air quality monitoring stations in Rio de Janeiro, which will cost 14 million dollars, will carry out a constant check on emissions of polluting gases like carbon monoxide. They will also transmit real-time meteorological data minute by minute to a computerised centre at the State Environmental Institute (INEA). The monitoring stations, added to the five that already exist in the city, form part of the “environmental commitment” signed by the government and the Brazilian Olympic Committee, Carlos Minc, the environment secretary for the state of Rio de Janeiro, told IPS. “Some air pollutants affect athlete performance. Ozone is one of them,” he said. 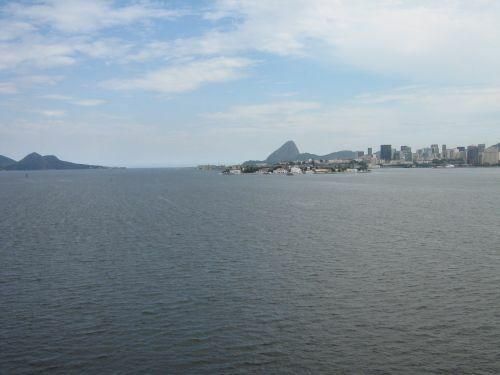 Minc’s interview with IPS took place during the installation of a monitoring centre at the Rodrigo de Freitas lagoon, where rowing and other aquatic competitions will be held. According to Minc, a very small increase in the concentration of ozone (a pollutant and respiratory hazard at ground level) is enough to prevent an athlete setting a new record in a sport such as a marathon or a swimming race. Expansion of the monitoring network and other local government environmental policies will allow strategies for prevention and immediate action to be implemented in the Olympic areas and generally throughout the city. For instance, if air pollution is detected at the INEA centre, the authorities can make changes such as diverting bus routes, temporarily closing nearby gasoline stations or altering the operating hours of a factory, Minc said. Build-up of pollutants to the point of air saturation will also be avoided, he said. “This is important because a big city needs a basic monitoring network in order to develop a policy to combat air pollution,” he said. The programme is complemented by a municipal system of eight automatic monitoring stations working 24 hours a day that issue daily bulletins. The local government is concerned about extremely densely populated areas where pollution levels are increasing due to growing traffic. At times of prolonged drought, the smog gets worse. The system will be introduced in outlying parts of Rio de Janeiro by March, as well as in nearby municipalities such as São João de Meriti, Nova Iguaçu e Belford Roxo, São Gonçalo, and the region of Baixada Fluminense. In some of these areas pollution is intense, particularly because of the dirt roads. Where this problem is detected, the roads will be paved, Marilene Ramos, the head of INEA, told IPS. Besides providing the public with constantly updated information about the quality of the air that they are breathing, and detecting where the problems are, the most important thing is to arrive at solutions, she said. There are places where traffic jams continually occur, where urgent measures could be taken, she pointed out. The problem is “evidently not an easy one to solve, but knowing the facts of the situation is a step towards devising solutions,” she said. Carlos Fonteles, head of environmental information, monitoring and oversight for the state of Rio de Janeiro, told IPS that the automatic monitoring stations transmit data instantly to a central computer “minute by minute and in real time. “Previously we only had five automatic stations, and now we are making a great leap forward with these. We are expanding our daily coverage capacity,” he said. With the first five stations, the local government “had very limited information in those critical areas where there were large traffic corridors and big urban concentrations,” he said. “Now I am able to monitor not only those but other areas as well, and for other purposes, like the Olympic Games,” he said.